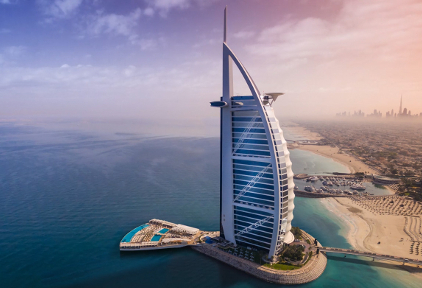 If you are planning to move to or within Jumeirah, there is one name you need to know: First Removalist. We are the Jumeirah movers of choice of the people. Moving is not easy nor is it an inexpensive proposition. If you are thinking of doing it on your own, you will realize sooner or later that it is just not worth it! 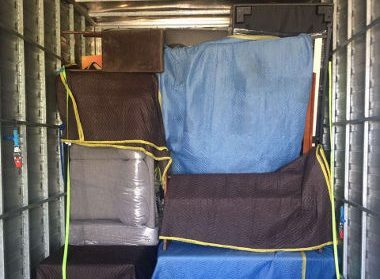 When you consider the amount of time and energy wasted in the whole process of moving, you will realize that choosing professional movers in Jumeirah is the smart thing to do. At First Removalist, we will take care of every part of your relocation process so that you can spend your time on important matters. Starting life anew in a new city or area may be challenging. We suggest you use your time in smoothening out those challenges and let us handle the logistical part of your move. Too many people try to relocate their households on their own and they are faced with an overwhelming task. 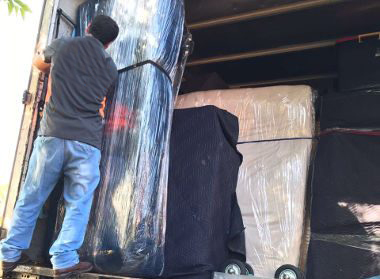 Here’s why hiring professionally qualified movers in Jumeirah is what you should do. Hassle-free: Moving involves a lot of hassles and it can be one challenge after another thrown at you. Choose Jumeirah movers like our company and we will take on all the hassles to give you a hassle-free moving experience. 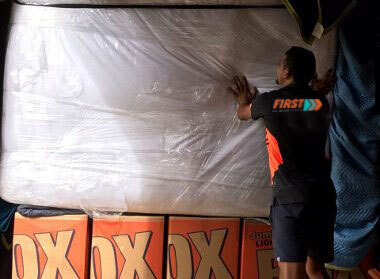 Our trained staff is hands-on and they work systematically to ensure that all your belongings get moved from Point A to Point B without any hiccups. Saves your time and energy: Just packing your home up can take you days, if not weeks. You never know how much stuff you have accumulated until you get down to the task of packing it all up! Then there’s loading the vehicle, the actual move to your new location and then unloading all of it. Then you have to unpack all your things and start assembling your new home. Let us take care of this mammoth task. As experts in moving to Jumeirah, entrust us with the hard work and save your time and energy. 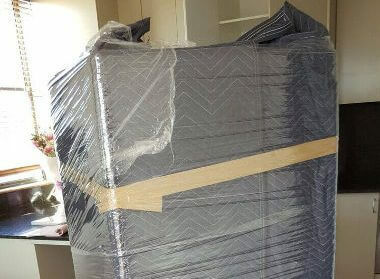 Precision and expertise: When you choose to hire professional Jumeirah movers like us, you can be assured that everything will be done with precision and expertise. Our staff will pack and unpack your things in the manner best suited to their safety and security. They will disassemble your television, computers and other electronic equipment with expertise and then assemble them again in your new home. The loading and unloading is also done with perfection. 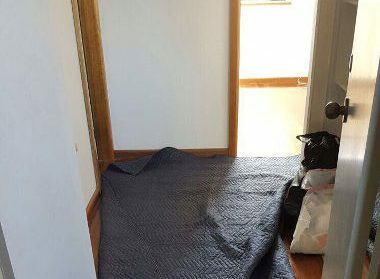 All this is done to give you a professional moving experience. No stress move: Whether it is your business or household you want to relocate, the whole process can get stressful if you do it on your own. Hiring professional movers in Jumeirah will let you sit back, relax and let the professionals take over. If it’s a no-stress move you want, then going professional is the best choice. We are based in Dubai and we are an Australian-owned and operated company. Our goal is ultimately to satisfy our clients with our service. Here are some of the qualities that make us the best choice. Customized moves: No two homes are the same and therefore, no two moves will be the same. We treat every removals project differently because we understand that our clients require customized service. So if you have special instructions to give us or any particular thing you need to let us know, go ahead and tell us! We will do our best to provide you a customized move in Jumeirah. Simple and quick: As professional movers in Jumeirah, we are trusted because we like to keep everything simple and fuss-free. We make sure to always use the best quality packing materials. Our staff is well-trained in packing, loading and assembling household stuff. Our moving vehicles are serviced regularly so that there are no problems on the road. We insure every move our clients entrust us with. Yes, our specialty is getting things done simply and quickly so that fewer problems occur. Big network: Our network is a big one and you can be assured that this means that we have a greater control over operations and movement of our vehicles. Ultimately, it’s a win-win situation for you, our client. Safety of belongings: At every step of the way, we do everything we can to make sure that the integrity of your belongings is never harmed or damaged. 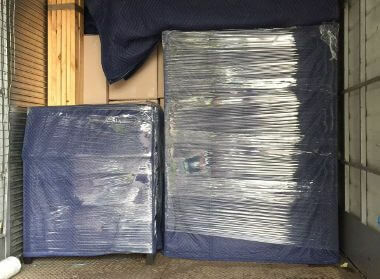 We use best quality packing material, bubble wrap and cling film wrap so that there is practically no chance of your belongings getting broken or damaged. We also insure every move because no one knows what is going to happen in the future. With insurance, your belongings will be covered if they are lost, damaged or stolen. With First Removalist as your movers in Jumeirah of choice, you can be assured that the relocation will be done without any hassles. We are experts at what we do and we are the name you can trust as Jumeirah movers.